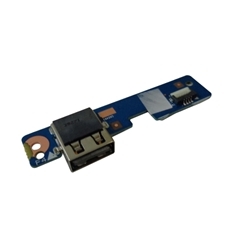 Description: New Acer laptop usb circuit board. This original circuit board contains 1 usb port. Acer Aspire One Cloudbook AO1-131, 1-131, 1-131M, AO1-431, 1-431.